thefuture Initiative is dedicated to the future … to new thinking, to finding answers and to problem solving. It is dedicated to the great majority, always down-trodden in our society. 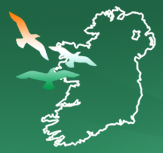 This site is dedicated to the families left in negative equity, those robbed or disposessed by the plunder of ‘Celtic Tigers’; to young people worried about their future, to hard-pressed working people. It is dedicated to the unemployed, people who are deemed unwanted in the current society; to senior citizens, to those needing proper health care, to the disadvantaged and to those with special needs. This site is dedicated to the millions throughout the world who face misery, hunger, mass murder and war; through oppression and exploitation – the victims of imperialist plunder – in the service of the world system of monopoly run finance capital. This site is dedicated to those described by Theobald Wolfe Tone as “that great and respectable class, the men of no property”; those whom Marx and others referred to as the ‘proletariat’ – the working class – those who depend on the sale of their own labour, the producers of all the material blessings in our society. In our society, the greater portion of the fruits of our labour, if we are allowed to work at all, is taken in private profits or is used to prop up a state system administered in the interests of monopoly corporations – in our case most of these are foreign as well. This site is dedicated to the memory of all those heroes of humanity who have struggled against oppression and for liberty, and on whose experience we draw. It is dedicated to the martyrs of our own nation, and to all those struggling for national self-determination, freedom and equal relations between the peoples of the world. Most importantly – this site is dedicated to changing the basis on which our society is organised, so that the majority are empowered. We believe this empowerment of the majority will provide the basis for lasting resolution of all the age old problems and will open up the path to genuine social progress and real freedom and liberty for the peoples. Next Next post: Responding to our own conscience and consciousness.